Sake as fine as ours can only be made by starting with the finest koji (malted rice). The brewers at Fukuju carefully produce the koji by hand in koji muro (special cultivation room), using processes perfected over centuries of practice. Fukuju selects only the best rice, cultivated by farmers in the northern region of Mt. Rokko, where Japan's finest rice is grown. The water we use, called Miyamizu, has long been regarded as ideal for sake brewing. Our inventive approach allowed us to pioneer sake making in the Nada region. 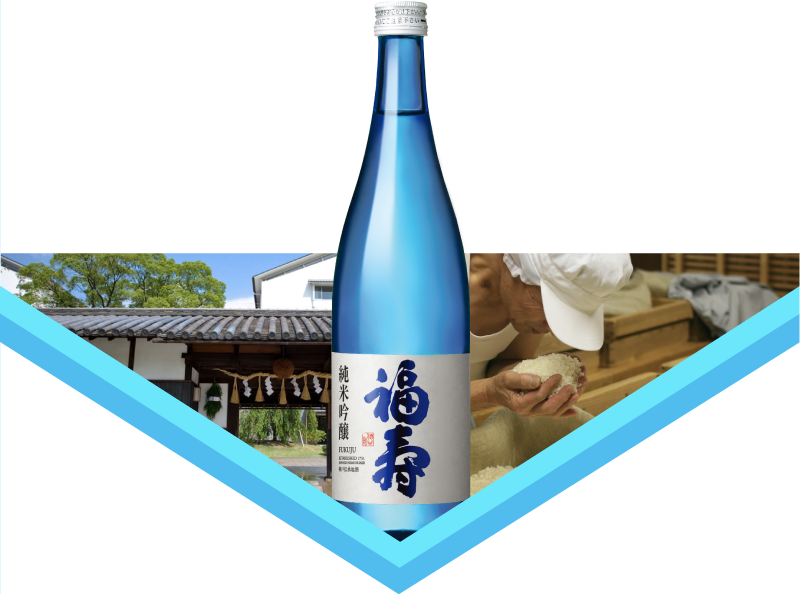 Our location fosters great sake, while generations of dedication ensure consistent standards of quality. Commitment to our craft and pure natural ingredients result in a taste that is fresh and clear.